The contextflow search engine uses deep learning methods to support you in your daily workflow. 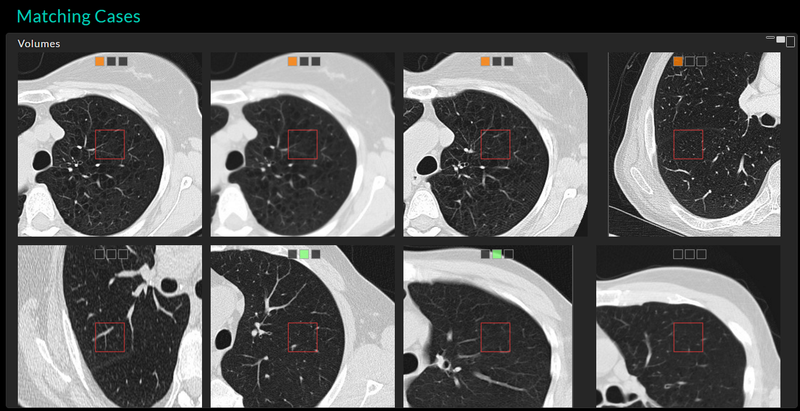 Simply select a region in the image, and within an instant, get visually similar reference cases and information about associated differential diagnosis to support your decisions. Instead of spending time on frustrating search via multiple web sources, books and literature, let the contextflow search engine put relevant information at your fingertips in the blink of an eye. We enable you to immediately look at relevant regions in other cases, compare them and get the case-associated pathology in seconds. And yes, it is in 3D, so each result is a full volume you can scroll through or change the contrast/brightness. 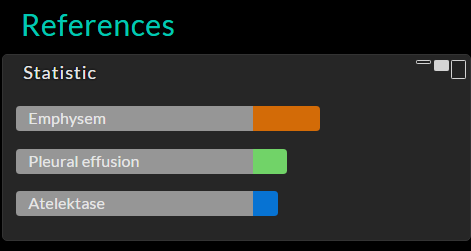 You can restrict results to age ranges, gender or certain pathological findings mentioned in the reports via text search. 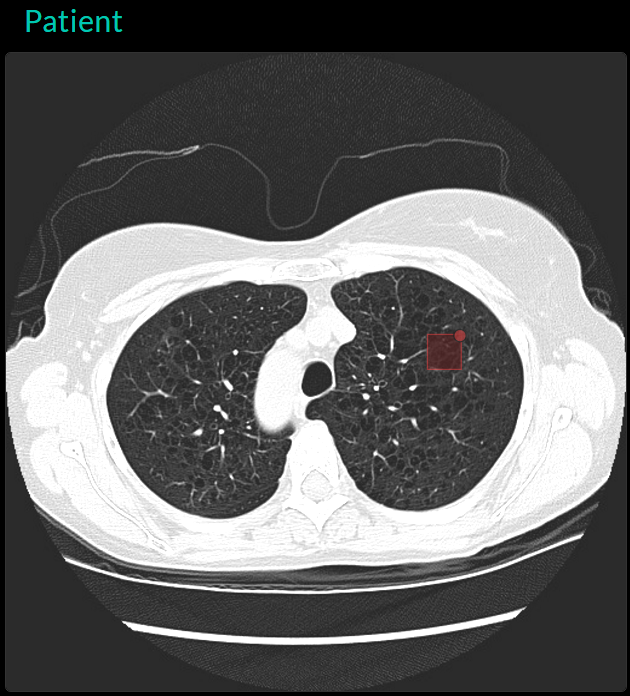 We provide a summary of clinical findings from connected reports to give you a quick indication of what was described in cases with the same visual pattern as marked in your image. Another requested feature shows the distribution of the marked pattern within the same volume, giving you the chance to spot whether or not similar patterns occur in other areas of your patient. We also show this distribution for any of the result cases whenever you select one of them, giving you the chance to compare the distribution of the pattern in these cases. Based on the selected region of interest our system is able to provide links to relevant reference cases from your favorite reference database (e.g. Radiopedia, EuroRad, RadiologyAssistent, …), bringing them just one click away. If you want to be involved in the early testing phase you can sign up below and we will get in contact with you. Our goal is to use our latest deep learning and ai technology to provide you with all the relevant information for your decision process and are always looking for your feedback and suggestions! 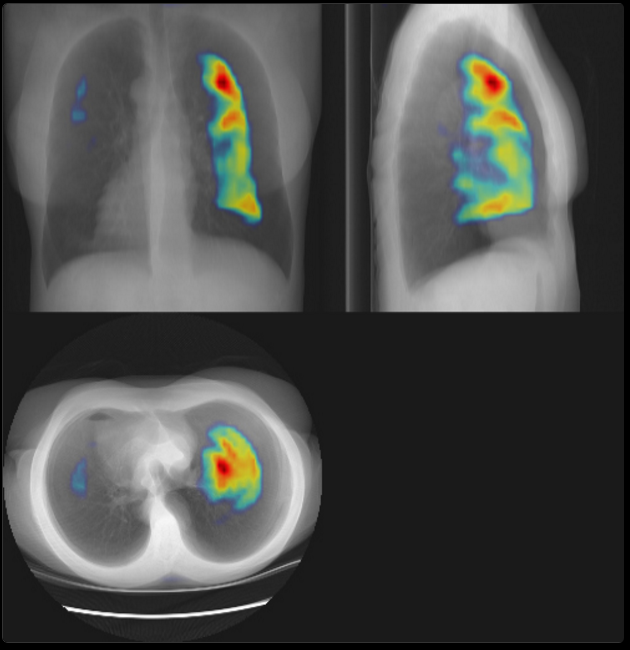 We believe that bringing the knowledge encoded in large medical image data to the surface is essential to handle ongoing and future healthcare challenges and to significantly improve patient care.